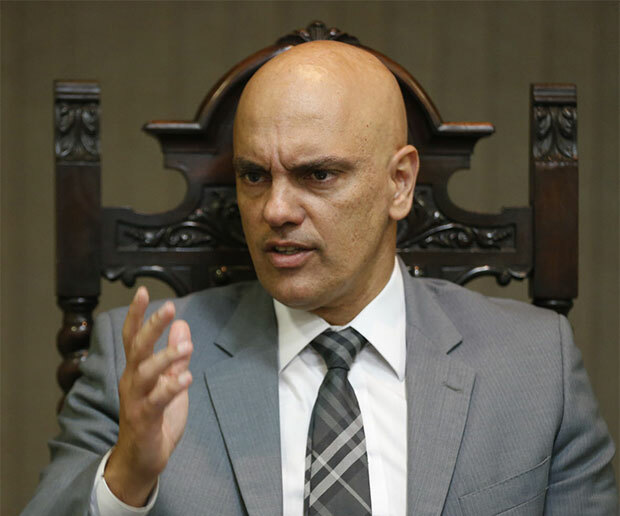 Less than three weeks before the Olympics in Rio, the Justice Minister, Alexandre de Moraes, says he does not consider terror the main threat to the sporting event. "Crime is more worrying than terrorism," he said to Folha on Tuesday night (19), in his office. The head of the ministry in charge of the Federal Police said the French government was hasty in raising suspicions that a Brazilian Islamic militant was planning an attack on the French delegation -the embassy of France acknowledged that the information is false-. What is the probability of a terrorist attack during the Olympics? Not only our agencies but also the international agencies put the probability at the lowest level. Now, is there a possibility? It does exist in the world, it wouldn't be in Brazil that it would not exist. The likelihood is minimal but, being a possibility, we are taking every precaution and carrying out all measures to combat terrorism. Rio's image is closely linked to security problems. What is the biggest worry at the moment? Unlike cities like London, our concern is related to several areas: public security, terrorism and organized crime. What worries the most: crime or terrorism? Crime is more worrying than terrorism, so we are reinforcing policing. We will have a larger number of delegations, tourists from all countries. We cannot let pass an image of crime in Brazil. The French government admitted being wrong when it said that a Brazilian Islamist militant planned to attack the French delegation. Was there exaggeration at that moment? There was haste. In saying that with no evidence, obviously they had to back down. Just playing with this possibility increases the feeling of insecurity. There was no need for it, without any evidence. Why French-Algerian professor at UFRJ (Federal University of Rio de Janeiro, in its Portuguese acronym), Adlène Hicheur, was deported to France? When did you decide he had to leave the country? I was convinced the day I heard the news, and I wasn't even in office. I thought it was absurd that Brazil was harbouring and giving a job to someone who was convicted, served time, and there was strong evidence. Furthermore, he is a nuclear physicist, who, in a laboratory, has all the material at hand. When I took office, I noticed that he had a work visa, but no application for renewal. The visa expired on Thursday and on Friday he was removed. Did he communicate with terrorist groups while he was in Brazil? No. If this had occurred, he would have been removed before. But he was here legally, with no issues with the law. In this case, was there criminalization of someone with no issues with the law? He was not criminalized. If it was a criminal matter, he would have been arrested. It was an administrative issue. He had a work visa, which expired. Even if he had asked for renewal, which he did not, in the national interest, it would be denied. People have to realize that Brazil is not a destination for those who are banned from Switzerland, arrested in France and have links with terrorist groups. Is it confirmed that the Brazilian group Ansar al- Khilafah Brazil, which would act on social media, has ties to the Islamic State? Has the Brazilian government been monitoring this group? It is an advertising website, it is not interactive, if traced it does not reach the Islamic State. Obviously, it is a website of sympathisers, but there is not, as it has been reported, interaction. The Brazilian government is using all the most modern things available in tracking, intelligence, technology and terrorism related procedures.